In my last report, I wrote about Hillary Clinton and what she sees when she looks into her crystal ball and plans her future. This week, let’s talk about Barack Obama. 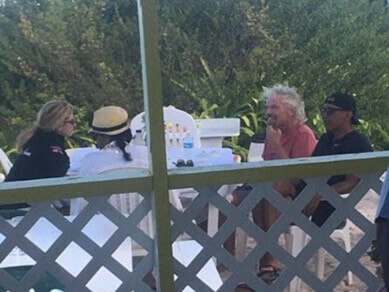 After three short days in rainy Southern California, Obama escaped the weather and boarded Sir Richard Branson’s private jet for the British Virgin Islands. There, with his hat on backwards and wearing shades, Obama chilled out with his wife, Michelle. Liberals don’t have to worry: Obama intends to be the most politically active ex-president in modern times. He’s tossing out the old rule book that says former presidents should remain silent for a decent interval to give their successors in the White House time and space to govern. “He’s planning to make speeches and speak out forcefully against Trump,” said one of his friends. “He’s going to fight Trump’s executive actions, fire up the leftwing resistance to the Trump administration, and pave the way for the Democrats to retake Congress. “He’s been given assurances by George Soros and other liberal money men that they will make a mighty war chest available for his crusade against Trump,” the friend continued. “Among Democrats, there is no one on the national scene with the status and popularity to match Obama’s. He’s a towering figure on the left, with a constituency that is angry and begging for a leader to steer them in the right direction.